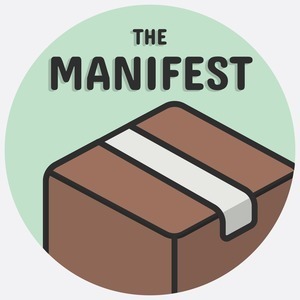 13 episodes of The Manifest since the first episode, which aired on August 16th, 2017. Wherein we discuss Conan, the C and C++ package manager with Diego Rodriguez-Losada as it reaches 1.0. We talk about what inspired the development of Conan, package management problems specific to C/C++ package management and the plans for the future. Note: This episode was recorded 9 months before it was published, so some details may be out of date. Wherein we discuss Clojars, the clojure package manager registry and it's relationship to Maven with Daniel Compton. Wherein we discuss open source licensing and how that relates to software packaging with Kate Stewart, of Linux Foundation and SPDX. Wherein we discuss typosquatting and other security matters with Adam Baldwin, of Lift security and the Node Security Platform. Wherein we discuss Cargo (the Rust package manager) and Crates.io (the Rust package registry) with Carol (Nichols || Goulding). Wherein we chat with Trishank Karthik Kuppusamy about The Update Framework, a security layer that lets package managers assure the veracity and integrity of their packages. Wherein we chat with Brian Fox about all things Maven. We hear the history of Maven Central, war stories, and discuss planning for the future of Maven and Java 9. Wherein we discuss Dart and Pub with Natalie Weizenbaum. We discuss how Dart and Pub are being used and developed within Google and a potential new algorithm for more user friendly dependency resolution error messages. Wherein we discuss Go and Dep with Sam Boyer. We discuss how he led the improvements to package management for the Go ecosystem and went deep on satisfiability and how it relates to dependency resolution.